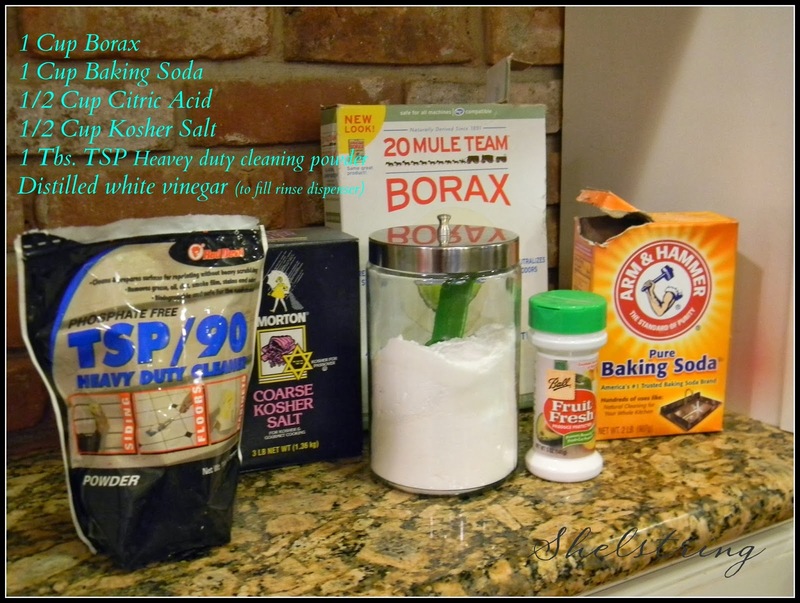 shelstring blog: Homemade Dish Detergent- Money saver, or not? 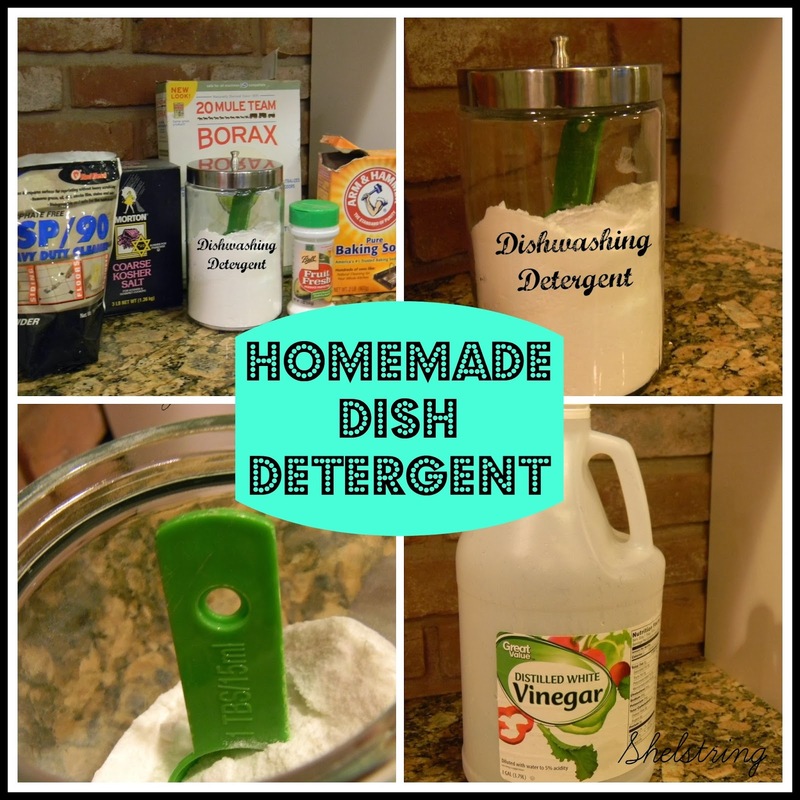 Homemade Dish Detergent- Money saver, or not? 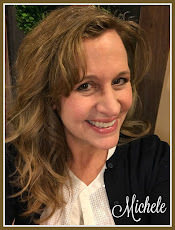 Occasionally I've found myslef in a pinch, having run out of dishwashing detergent late at night or at the most inconvenient of times where running to the store is not possible. Having a large family, it is critical to keep the cleaning schedule moving. After having these experience a few times, I've found the best recipe that works for me, no water spots, no film left on the dishes. Make sure Powders are thouroughly blended! I've seen people add a lemon koolaid packet for fragrence, this hasn't proved necessary, but if I had it on hand, I would certainly try it. The most important thing is, the dishes don't have an odor after being washed. I keep my detergent on the counter next to my sink and dishwasher for easy access. 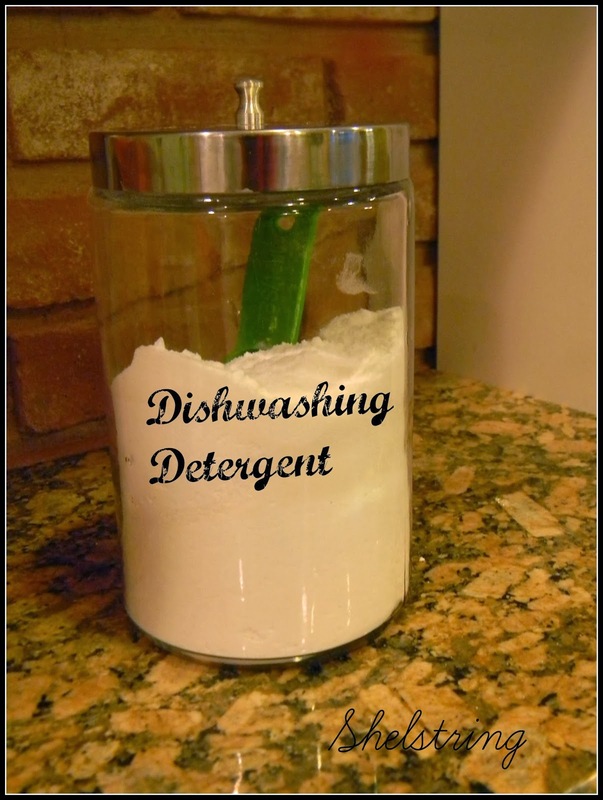 When I first ever made this detergent, like I said, it was just for the convenience using what I already had on hand. I wasn't thinking about how cost effective it was. In the long run, however, and especially considering the fact that I had everything already on hand, it has proven to be the most economical and best detergent I've used to date. 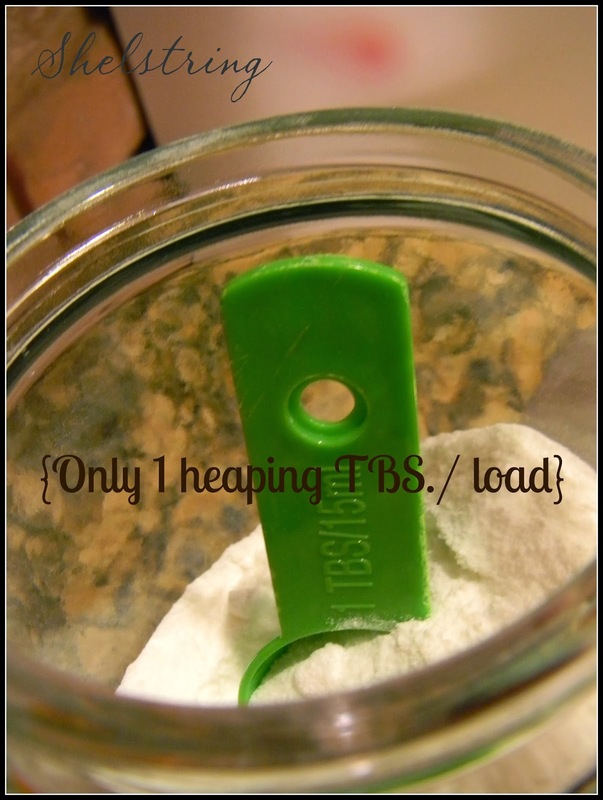 Using only a Tbs.-heaping spoonful a load as well as simple white vinegar as a rinse agent. I've used name brand rinse agents too since I had a sample of "Jet Dry Finish" on hand, and quite honestly, I think it gave the best result, while lasting for more loads than I thought it would when filling the rinse dispenser. 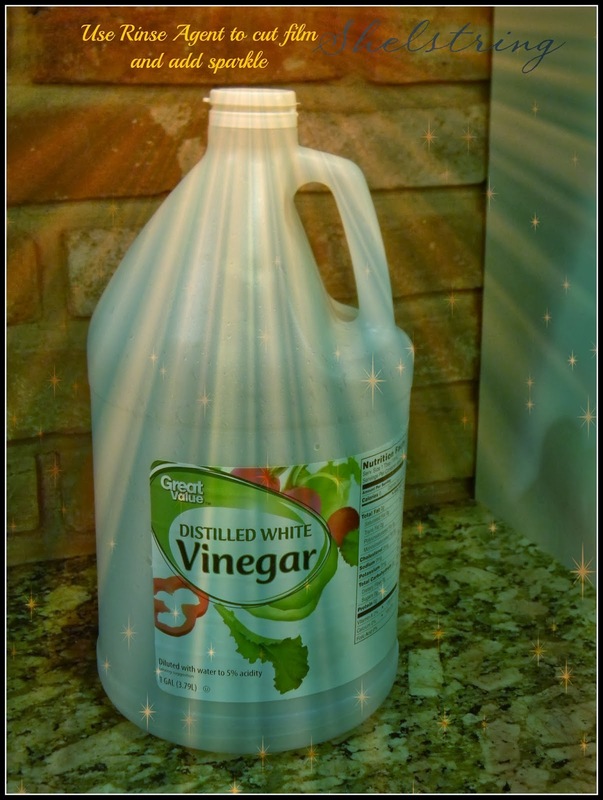 However, the vinegar works okay too, especially in a pinch. I make my own too. I use the Kool Aid if I don't use lemon, then I use orange. One of the things that I like is having the ingredients to make it on hand, saves so much money and only takes a few minutes to mix up!